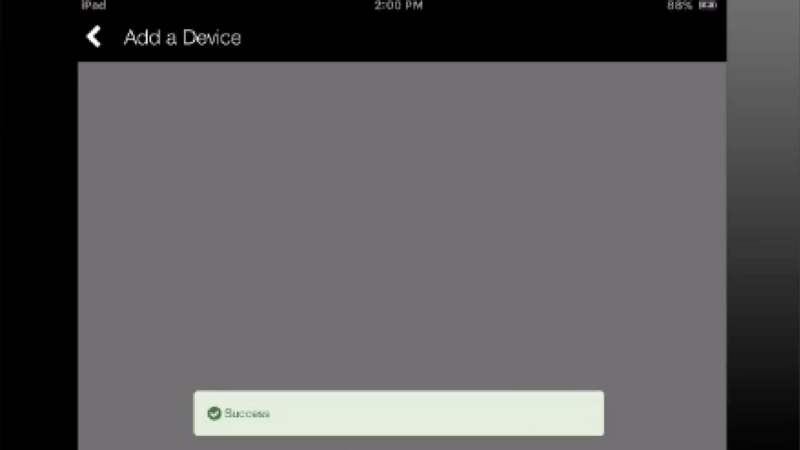 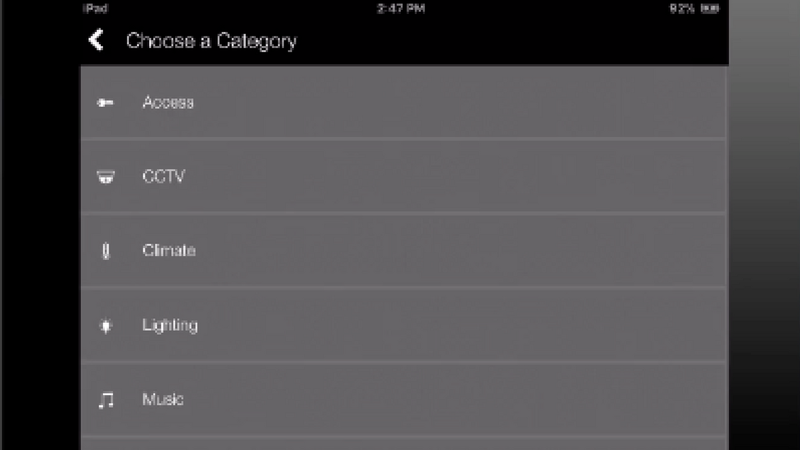 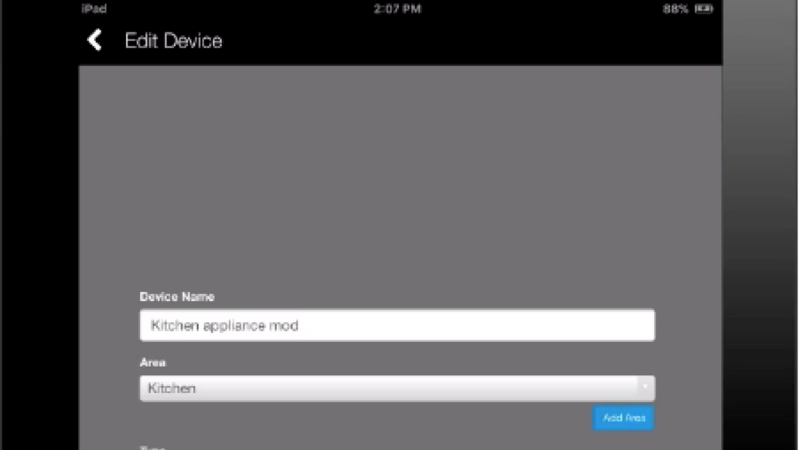 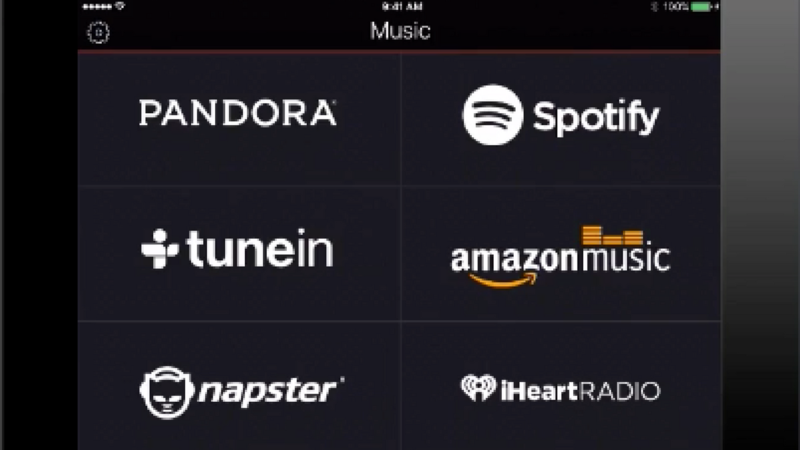 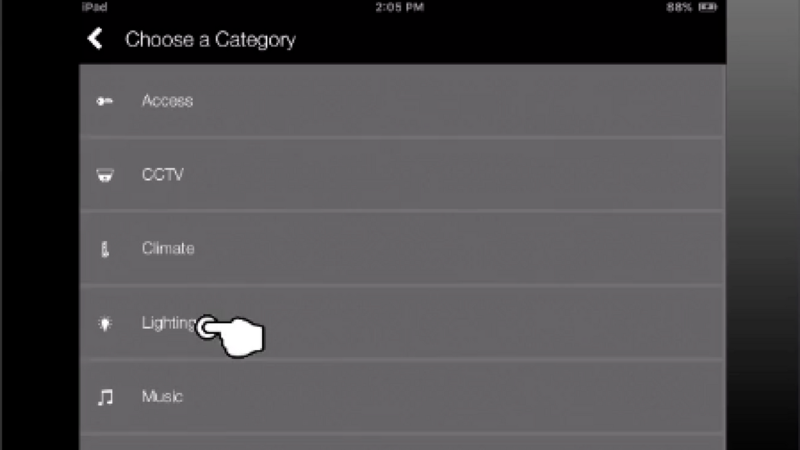 Easily learn how to add and remove supported devices from within the ClareHome app. 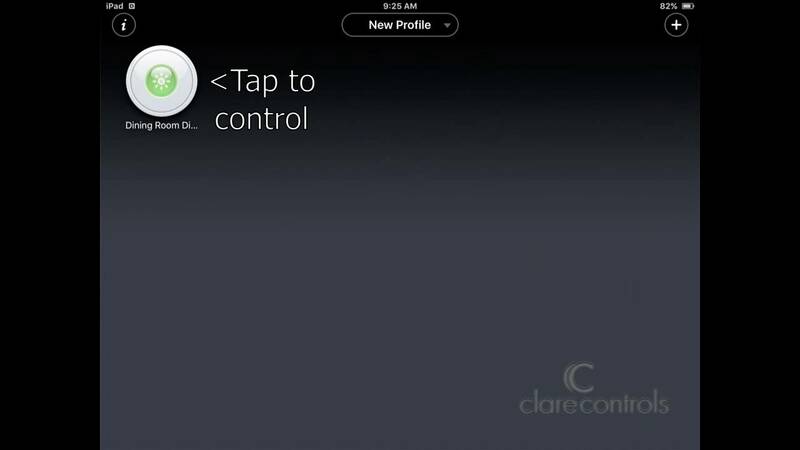 In this video you will learn how to create a schedule with ClareHome. 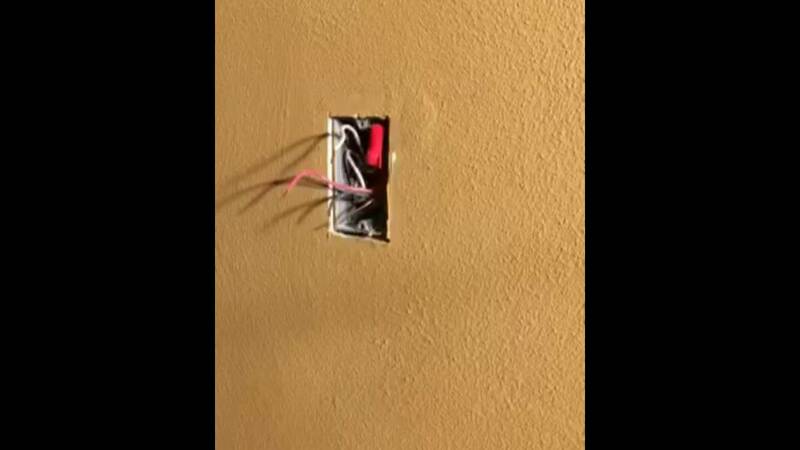 For example, you can schedule your exterior lights to turn on at sunset and to turn off a few hours later. 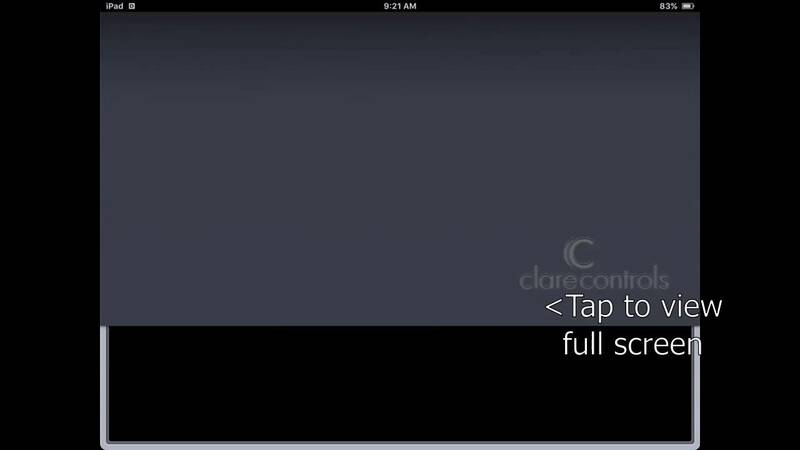 In this video we will show you how to create a scene with ClareHome. 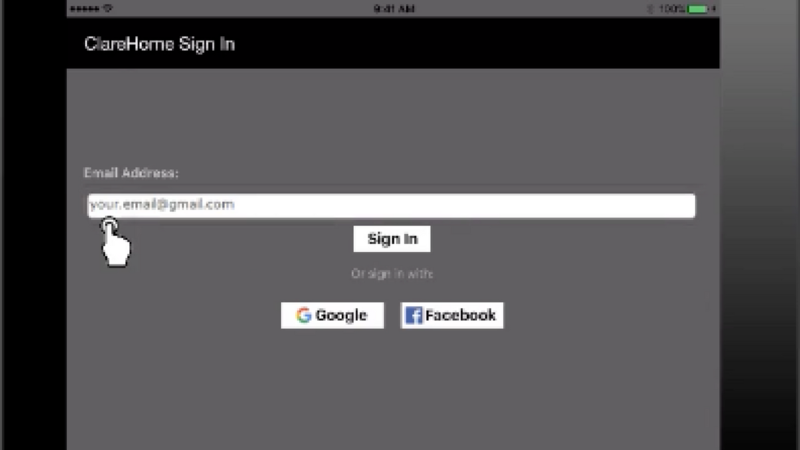 Scenes combine several actions into a single convenient command. 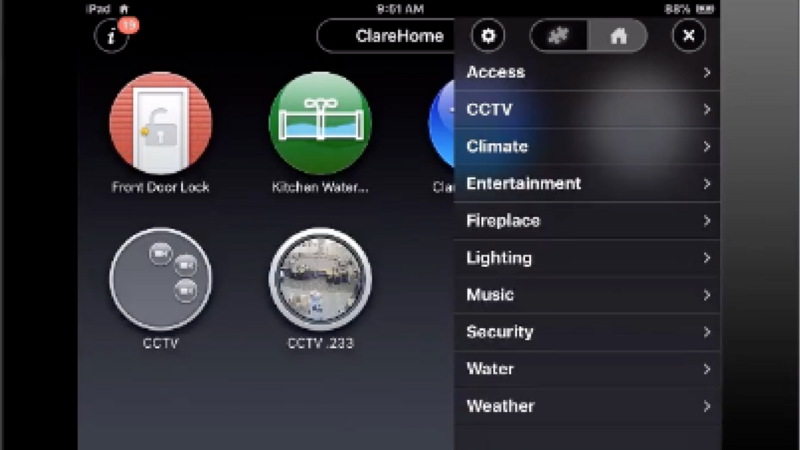 Learn to create a notification for your ClareHome. 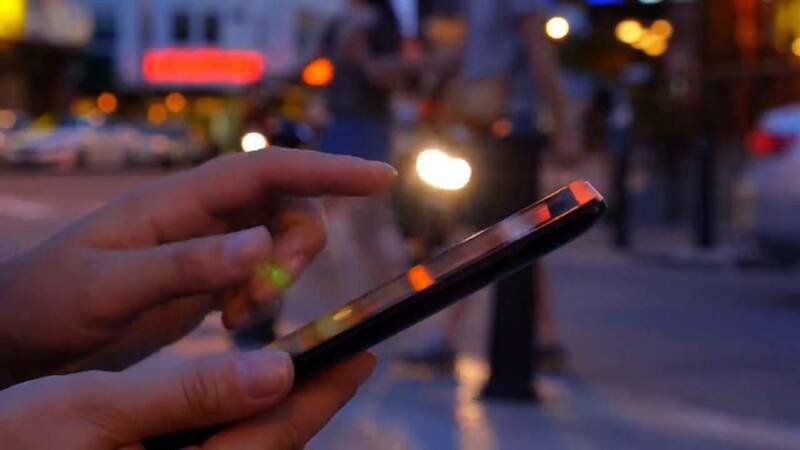 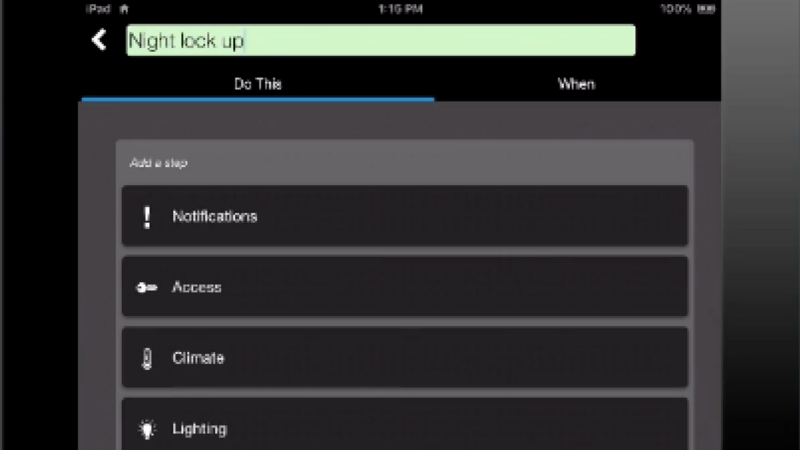 Notifications alert the user of something happening in your home by text message, email, or push notification. 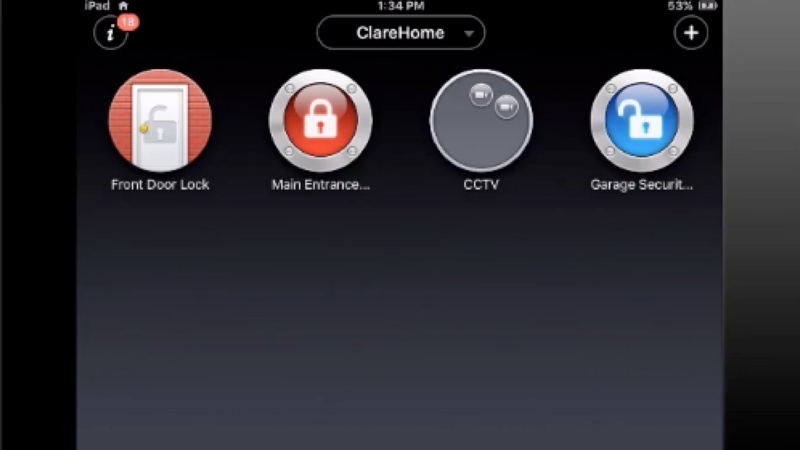 Learn how to access ClareHome once you have downloaded the ClareHome app. 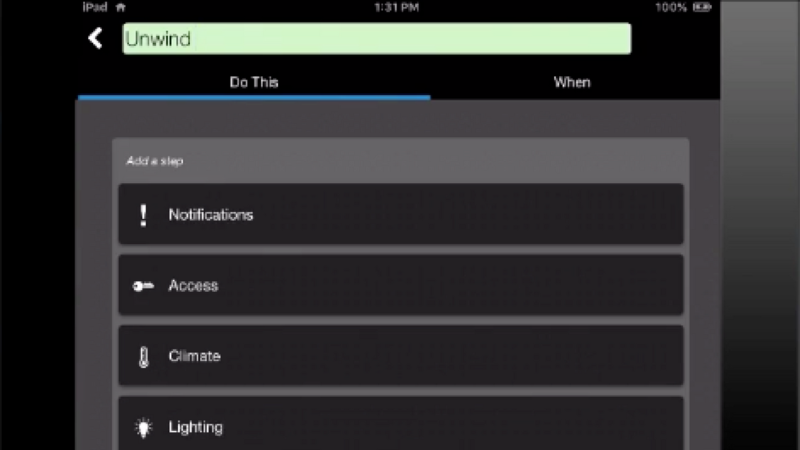 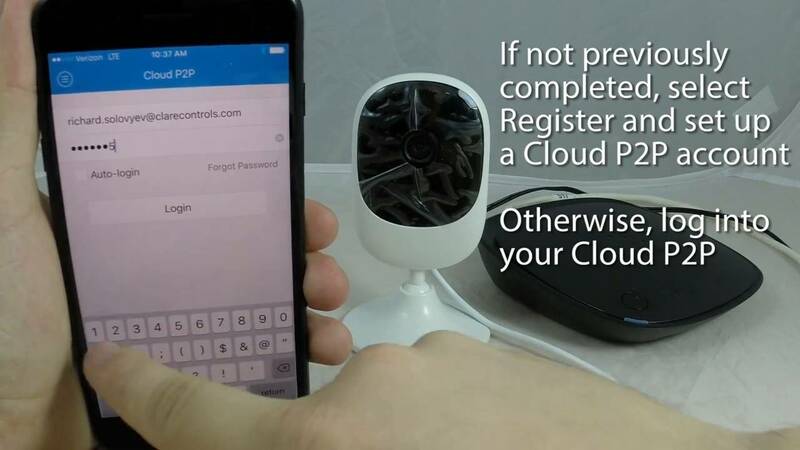 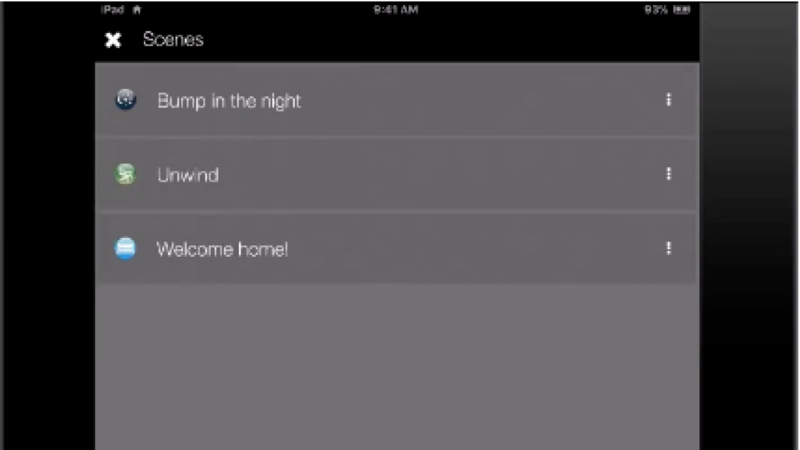 This video walks you through creating a notification using a motion sensor in your ClareHome. 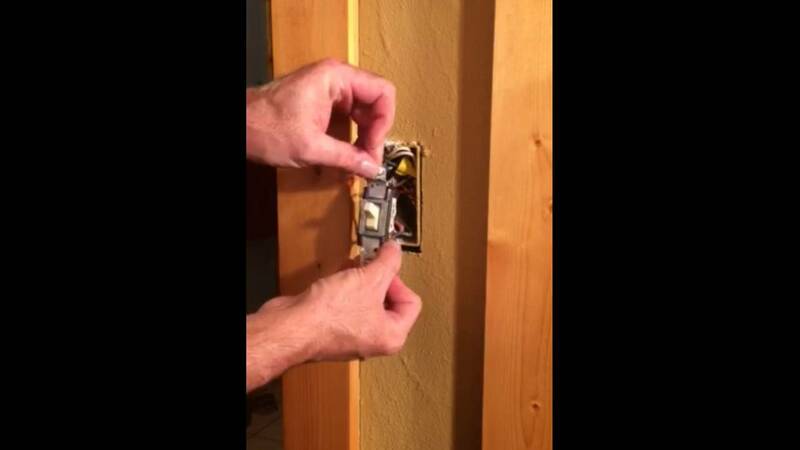 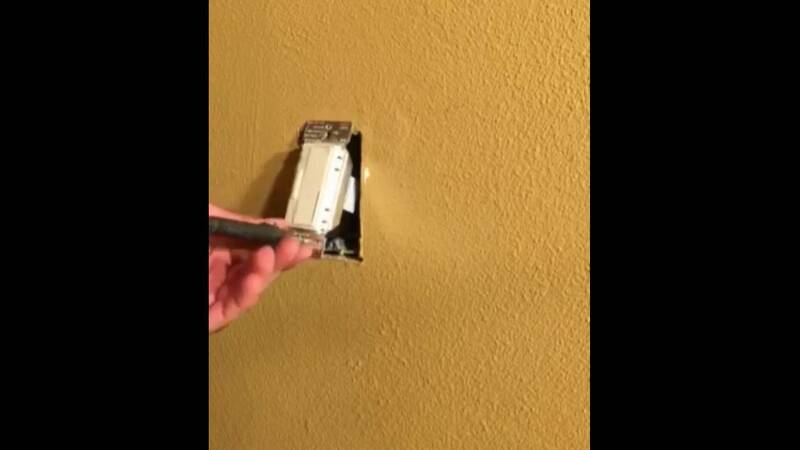 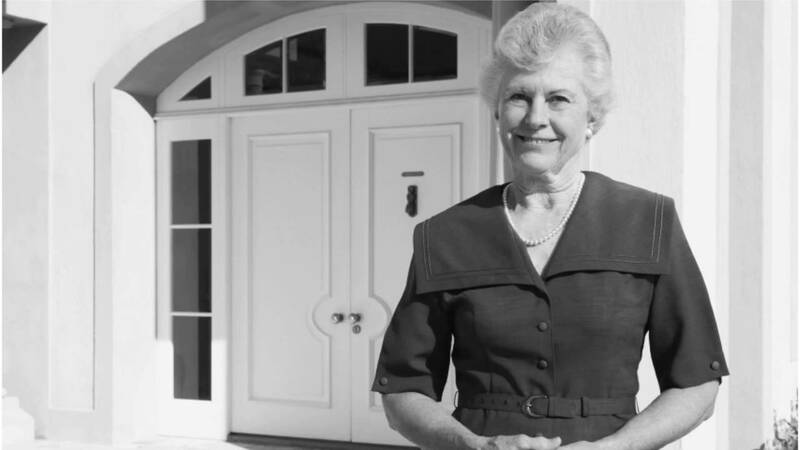 Learn how to maximize use of the thermostat in your ClareHome by following the tips in this video. 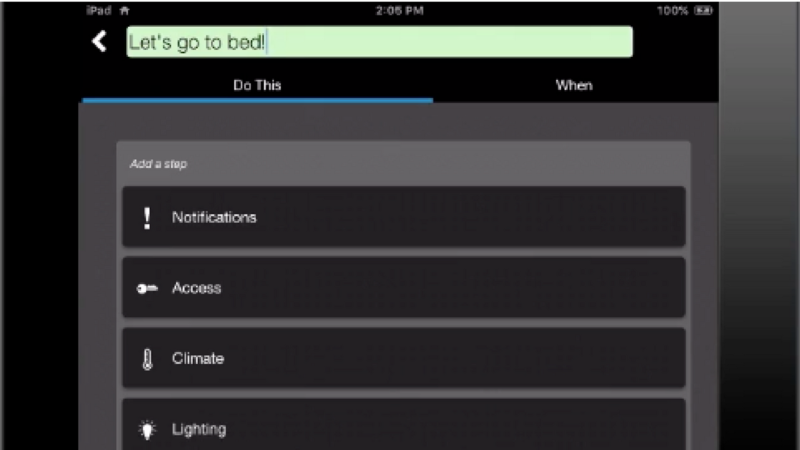 Learn to create a Nighttime Lighting Schedule to turn the outside lights on, dim the inside lights, and turn off appliances at a set time. 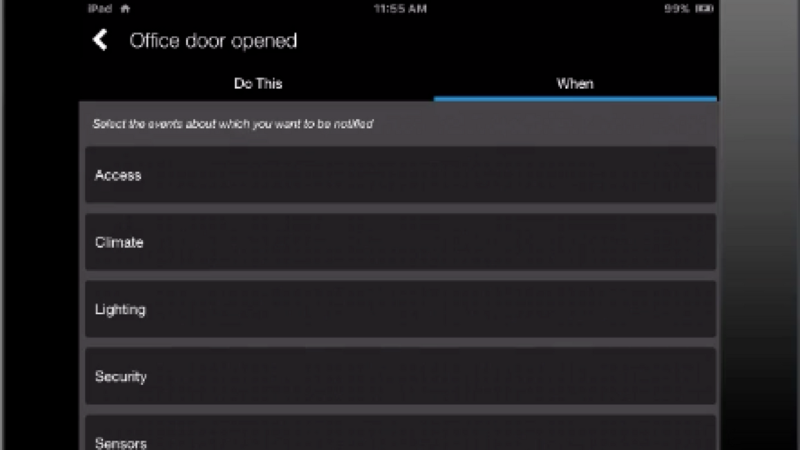 Scenes combine several actions into a single command. 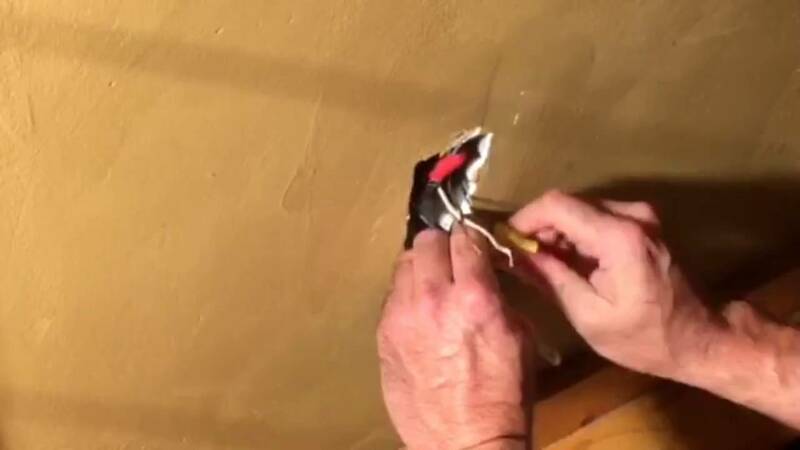 Creating an Unwind Scene will turn the thermostat down and dim the lights for a relaxing atmosphere. 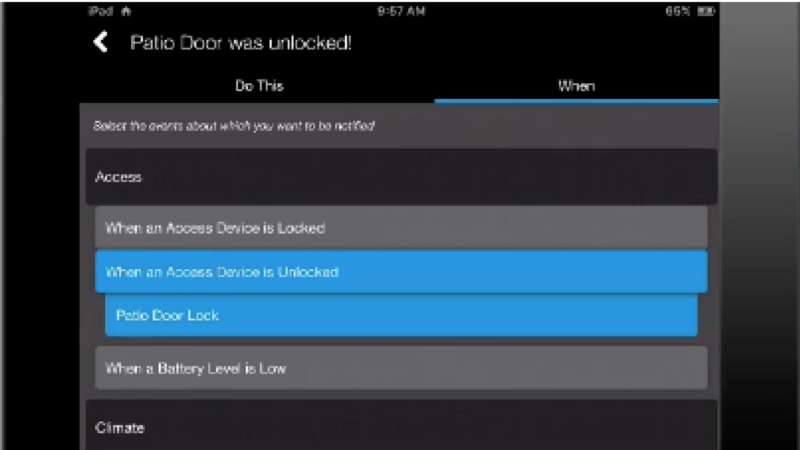 Create a notification to be sent to you anytime your door and window sensors recognize one open with the Home Protection Package. 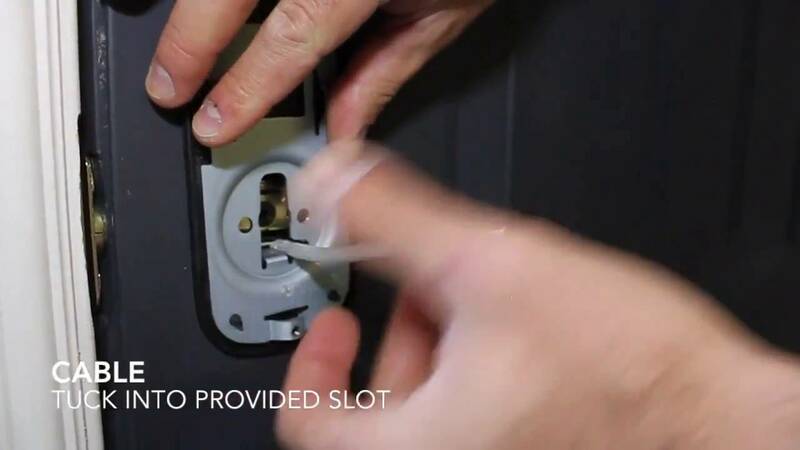 Scenes combine multiple actions into just one single push of a button. Learn, step by step, how to create a Bump in the Night Scene. 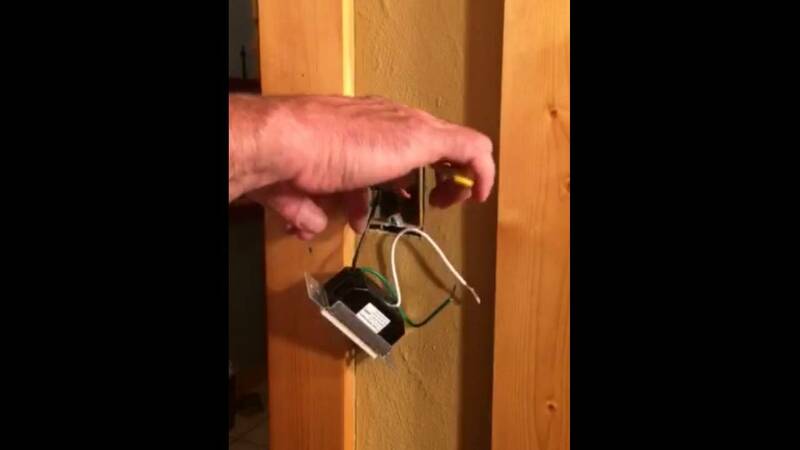 Add and control light dimmers in your house to always achieve that perfect lighting to keep you comfortable. 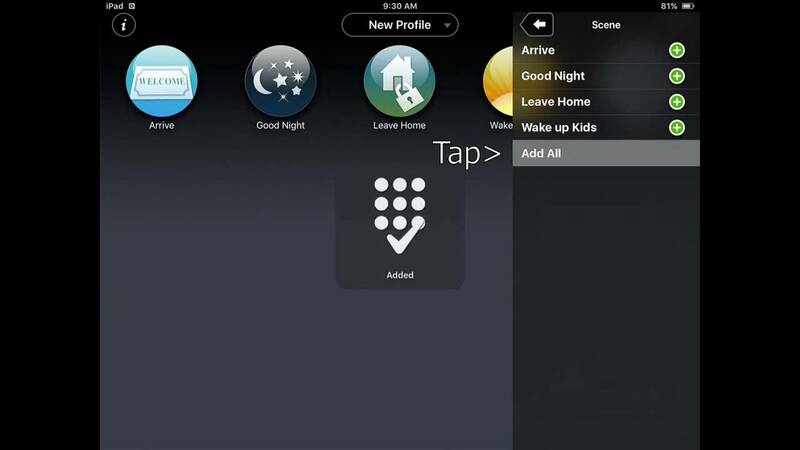 Add and control scenes like "Leave Home" or "Good Night" to shut off and secure everything in your home with just the push of a button. 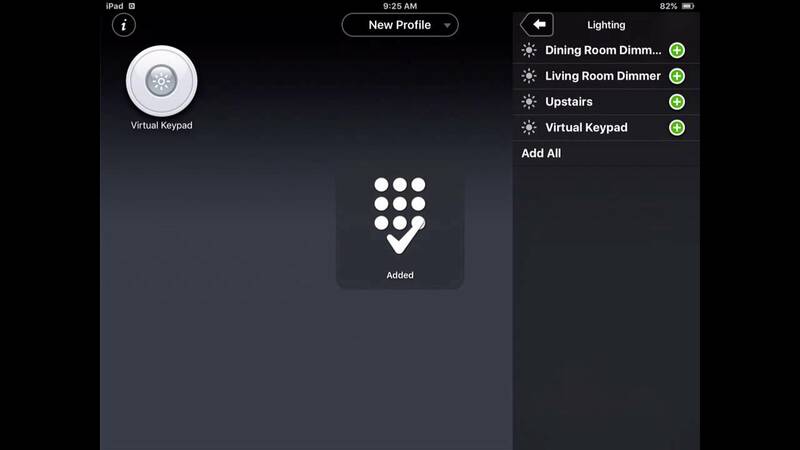 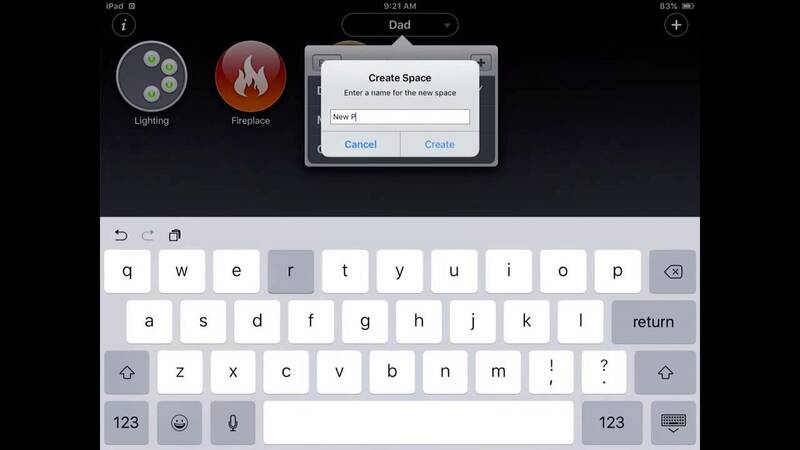 Add virtual keypads to simplify your smart home experience. 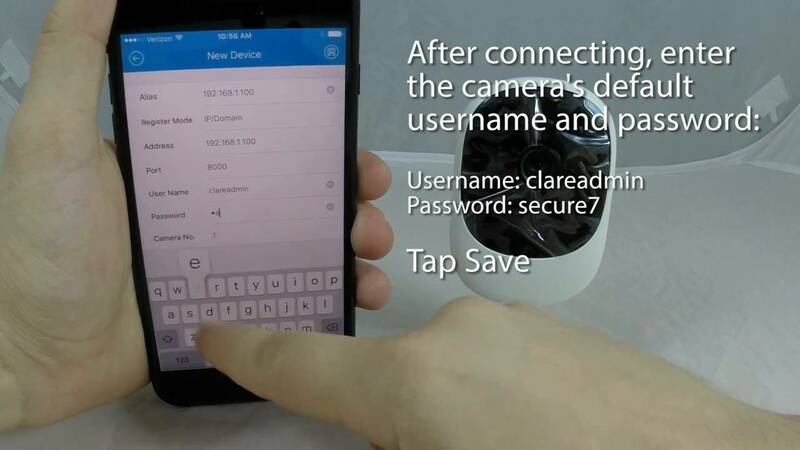 Add and view multiple cameras in your smart home with Clare Controls. 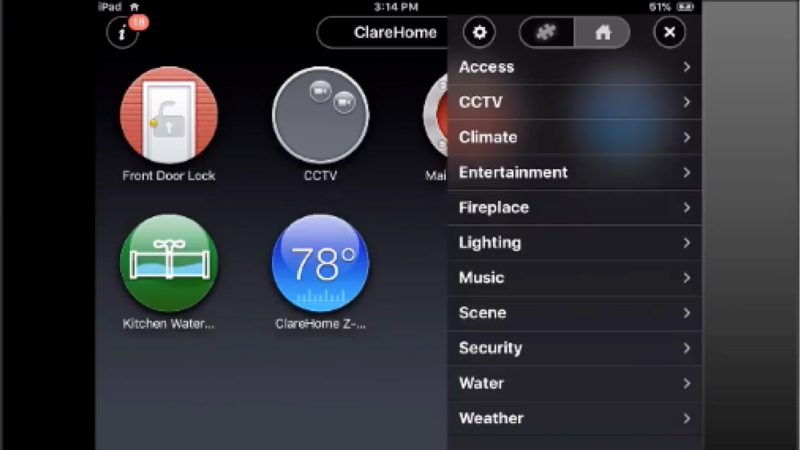 Create a new space in your Clare Smart Home to further personalize your living experience. 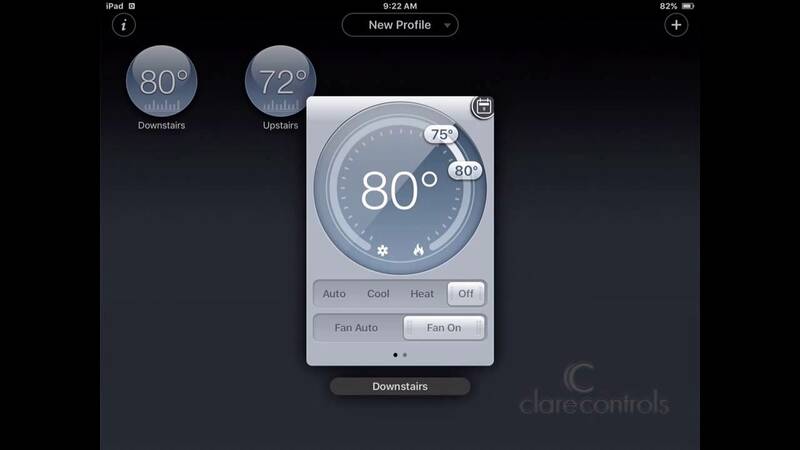 Control your home's climate with Clare Smart Home. 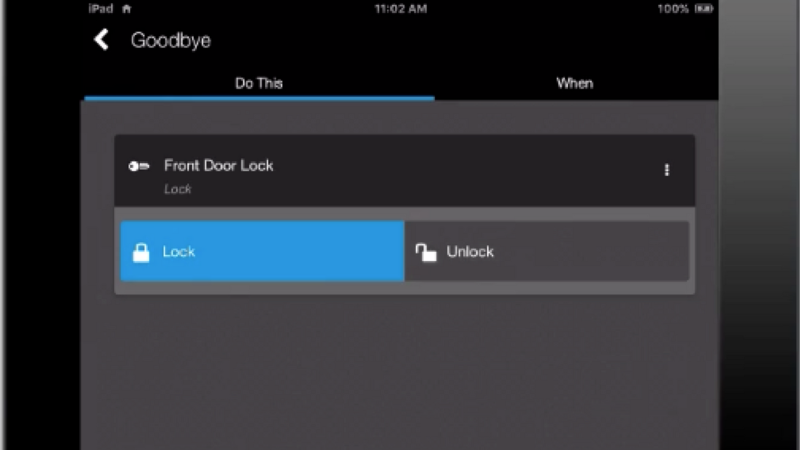 Watch the video to learn how to create a "goodbye scene" using the items found in the Convenient Access Package. 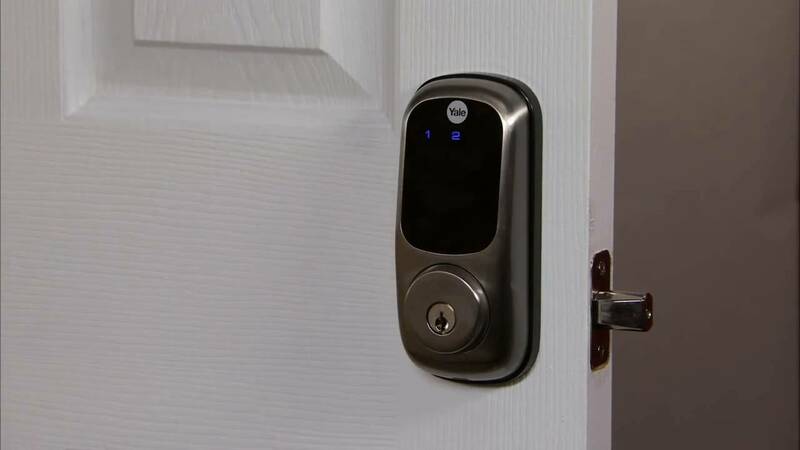 This scene turns off lights, locks and secures all aspects of your home. 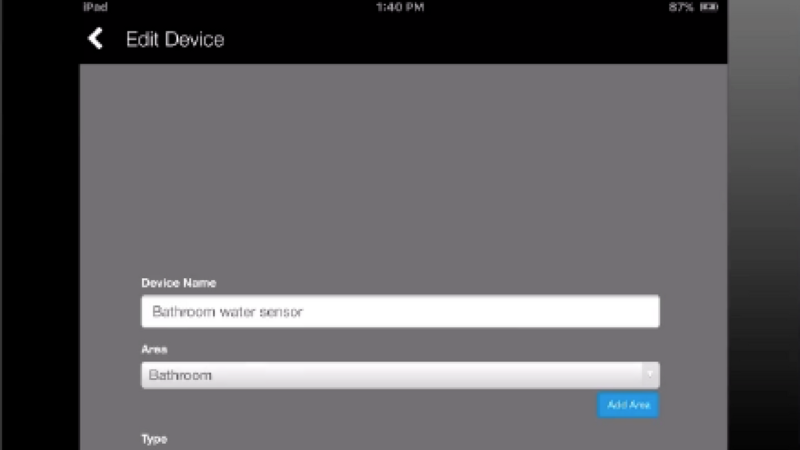 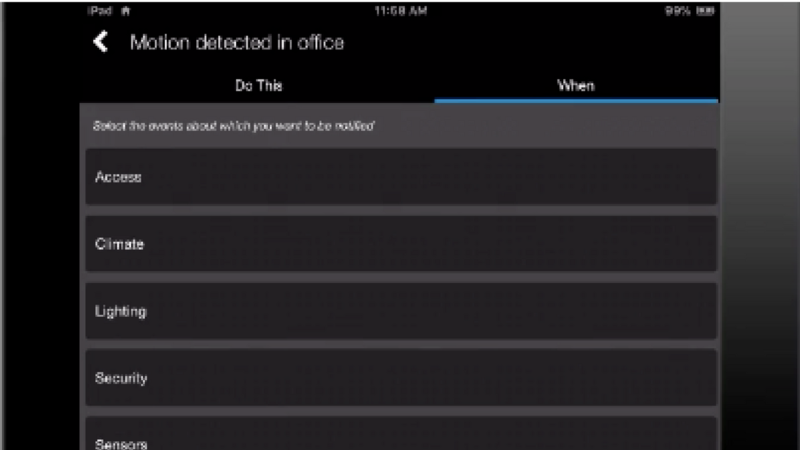 Create a notification using the water sensor included in the water leak protection package. 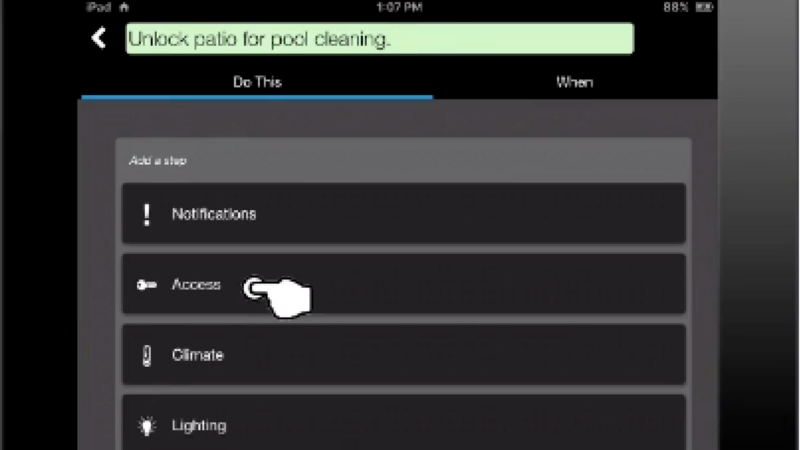 This notification is sent as soon as water is detected by the sensor to protect your property.